Nixon Motor Sports: Adios South Carolina! I've really enjoyed getting into autocrossing here in SC with the South Carolina Region of the Sports Car Club of America, and last Saturday was another fun event. As I was leaving Saturday afternoon I stopped for the photo opportunity above as a reminder. 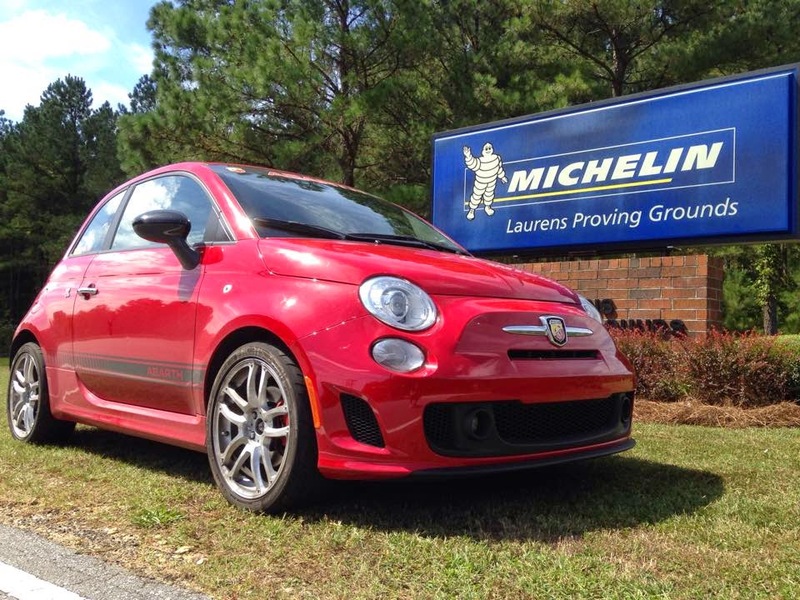 Later this week my job is moving me to Virginia, so the FIAT and I will be looking for more autocross adventures in another region in the near future. Thanks to all the friends I've met at events at Michelin, Darlington, ZMax, Charleston, Myrtle Beach, and around the state of SC. I hope to get back for another event or two in the future!